Matt Karlyn, a partner with the law firm of Foley & Lardner LLP and is a member of the firm’s Information Technology & Outsourcing Practice, shares his insights on writing vendor Statements of Work that keep IT projects on Track and protect them from vendors who don’t deliver. At the beginning of a project that involves one of more vendors, project managers tend to focus more on the positive aspects of the relationship with the vendor and less on what would happen if the relationship fails to meet the project business objectives. Risks such as the supplier going out of business or failing to perform, or your company deciding to change direction, seem so unlikely that many project managers fail to plan for them. However, the recent economic volatility and high-profile cases are forcing customers and vendors to focus more on protecting themselves through well written Contract Statements of Work. Mr. Karlyn has extensive experience with transactions relating to outsourcing and information technology, including IT outsourcing, technology licensing, business process outsourcing, systems integration, cloud computing and software development. Mr. Karlyn advises companies and associations on all matters involving the use of information technology and outsourcing initiatives, including managing the RFP process and drafting critical components of the RFP, vendor selection, contract development and negotiation, setting service levels and other performance criteria, advising on drafting and negotiating project management and governance terms and conditions, and assisting in the management of the transaction process. Mr. Karlyn has been named a judge for the CIO 100 Awards. Every year, the CIO 100 Awards honor 100 companies that demonstrate excellence and achievement in IT. How is the current economy affecting vendor management landscape? You say in article How to Protect Your Company from Vendors Who Don’t Deliver: “At the beginning of a relationship, scenarios such as the supplier going out of business or failing to perform, or your company deciding to change direction, seem so unlikely that many organizations fail to plan for them. However, economic volatility coupled with recent high-profile cases are forcing CIOs and vendors to focus more on protecting themselves through their contracts.” What are some of the key lessons learned from some of the recent high profile cases such as British Sky Broadcasting (BSY) (BSkyB) v. Electronic Data Systems (EDS) and Satyam Computer Services cases? In article Vendor Management: Write Statements of Work That Keep IT Projects on Track, you say: “Courts have made it clear that the vendor is responsible only for delivering items expressly identified in the SOW. Vendors don’t have to do anything you didn’t ask for in the contract.” What is the importance of the SOW and how it fits in the context in the overall vendor contract? What are some of the differences between SOW for a project as opposed one that is for a service agreement such as providing ongoing maintenance and support for an IT system? 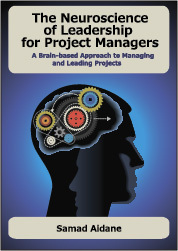 What do project managers need to know about working under badly written statements of work? You advise companies to resist sales pressure and take time to draft SOW before the contract with the vendor is signed. Why is this important and what are the potential risks of signing a contract without a finalized SOW? Another advice you have for project managers is to make sure to define their requirements and not use the vendor’s proposal as SOW. What’s the risk of using the vendor’s proposal as their project SOW and what do you recommend instead? You say that vendors frequently insert legal language into SOWs that conflicts with—and may make unenforceable—the terms of the services agreement. Can you give some examples so project managers can make sure watch for these types of terms? Based on your experience, what are the key characteristic of a well written SOW. What other key terms that you recommend project managers should include in their SOW, regardless of the project they are working on? Why it is important to include an overview section at the beginning of each SOW that provides a brief, plain-English explanation of what the vendor is expected deliver so anyone who is not involved with the project but who is generally familiar with technology can understand what the vendor is providing? Often SOWs refer to deadlines as estimates, and calculate dates from the beginning of the project without clearly defining the date of that beginning. What do you see in your practice as consequences of this approach? Vendors like to insert a list contingencies on the vendor’s performance and assumptions on the the client company’s performance. What type of clauses should Project Managers avoid in SOW? Often, SOW refers to sections in RFP or other sales documents such as initial vendor proposals. How do these type of references to external documents impact SOW and what should project managers watch for? You recommend using terms consistently in all the contract documents because using different terms creates confusion and may dilute a vendor’s obligations. Can you give us some examples you see in your daily practices that project managers should avoid? You recommend breaking complex SOWs into several smaller, discrete SOWs. When necessary, a limited “scoping” SOW may be used to better define the requirements for a later SOW. Can you explain this concept and give us some examples that show how project managers can implement this concept in their projects? Any final thoughts for project managers on writing effective statements of work? What are some of the legal trends in vendor management that you are keeping an eye on for 2011? How do you keep up with new trends in technology so you stay on top of their legal implications for your clients? What are some of the interesting projects you are involved in these days? I did not receive the download, and it is not in my spam folder. Please send to mrobi87439@aol.com. I emailed you the links few days ago. Please email me if you can’t download the resources.